Vosun makes some of the best yoyos to come out of China. 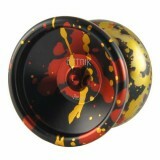 Vosun yoyos are designed by a group of talended designers, headed by chief yoyo desiger, Eren Atas. These guys have made yoyos out of many different types of materials, and use the latest technologies and innovations to make great yoyos that you will love to play with! The Vosun Aethyr (6S) is one of the most popular Vosun models due to its light feel resulting in.. The Vosun Crawler 2 (5S) is a revamped version of the Crawler which was the signature model of E.. Ever wanted a bi-metal yoyo without paying the ridiculous price for it? Well you are in luck! Th.. The Vosun EzTrik (7S) certainly lives up to its name - it's easy to do tricks on it! A full-size..
Last year, Vosun released their first Bi-Metal (brass ring) yoyo, the Duang. Now, Vosun have r.. The Vosun V8 is Vosun's first off-string model. 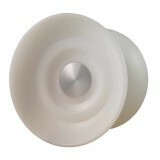 Made from machined Delrin plastic, it is extre.. The Vosun Okkar (9S) is a full size, aluminium yoyo very similar in design to the super TiM.. The Vosun Petrichor (V6) is based on the excellent Aethyr model, but it has been given an upgrad..
Vosun's first release model, the 1S Stary has been given a few modifications and has been re-rel.. The Vosun Rogue (4S) is one of the newest models from the fantastic Vosun range! With its .. The Vosun Space Cookie (V5) is the signature yo-yo of Vosun team player Jakub Wawrzyniak (Nick n.. 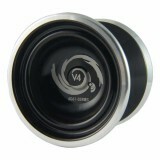 The Vosun Vortex (V4) is a medium sized yoyo, and has a no-frills step-straight shape, but it pl.. 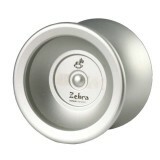 The Vosun Zebra (1Sx) is Vosun's newest undersize yoyo that is a heap of fun to play with! ..